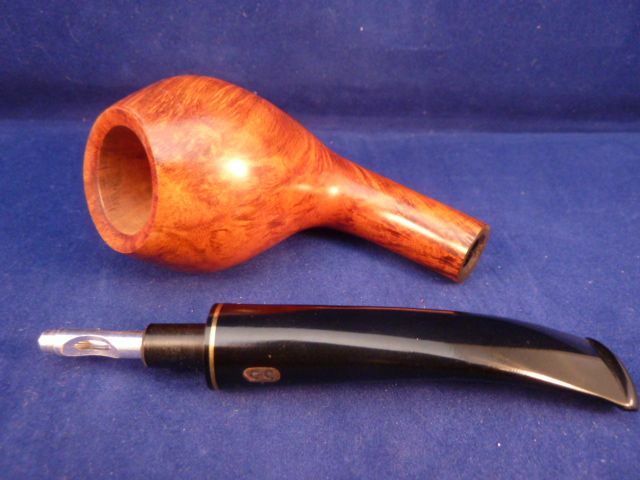 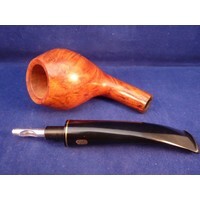 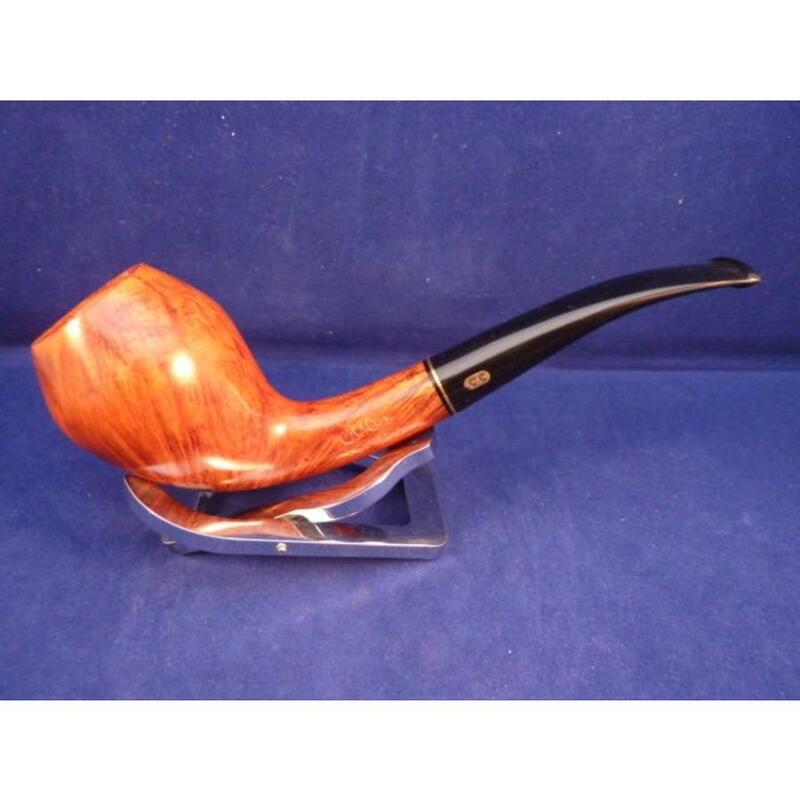 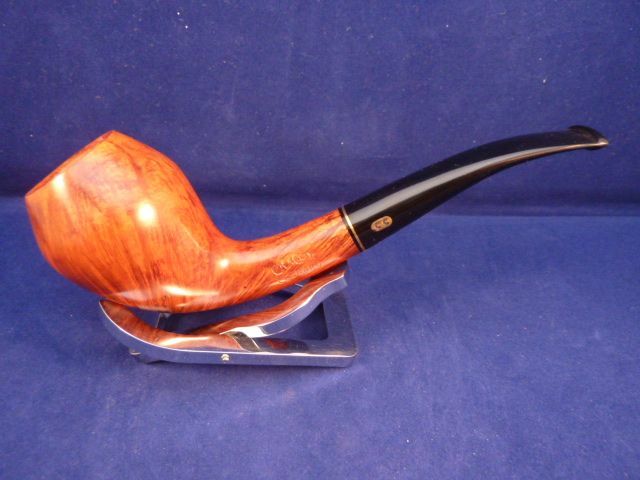 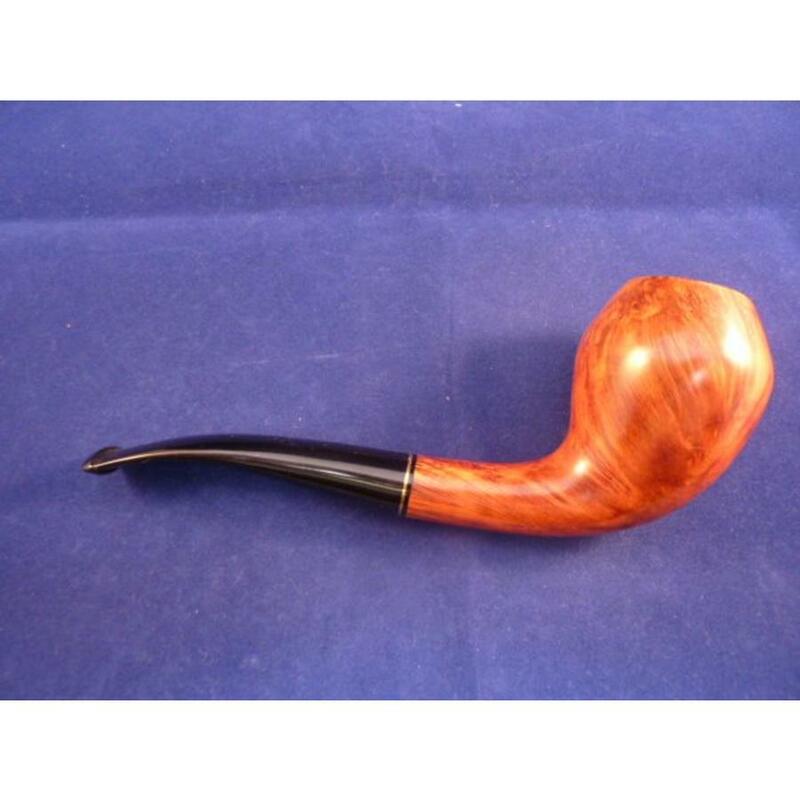 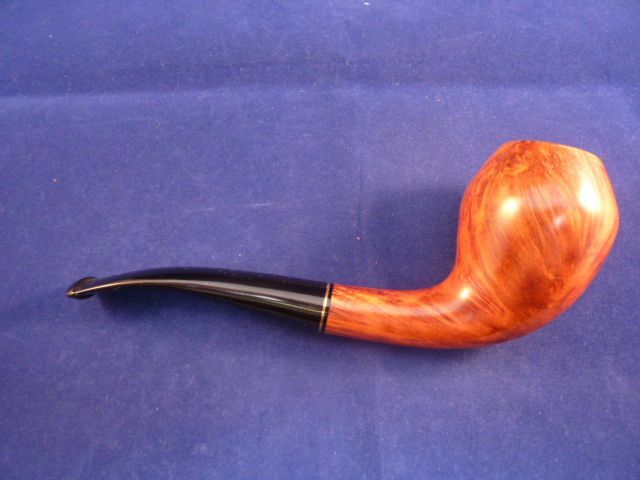 Smooth briar pipe with a very elegance shape made in France by Chacom. Black acrylic mouthpiece with thiny ring. 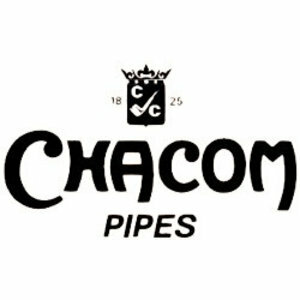 No filter.